Kids Day is designed to give on-the-air experience to young people and hopefully foster interest in getting a license of their own. 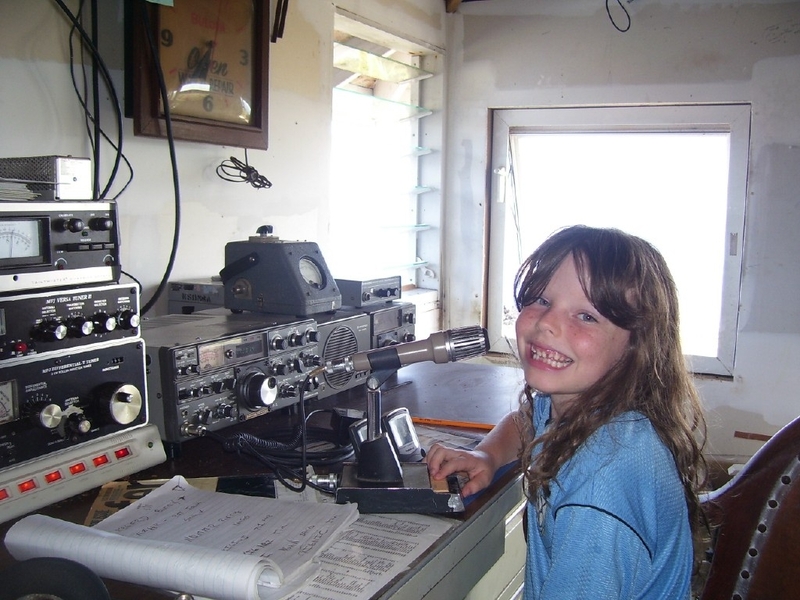 It is also intended to give older hams a chance to share their station and love for Amateur Radio with their children. Kids Day always runs from 1800 UTC through 2359 UTC. Operate as much or as little as you like. You can also use your favorite favorite repeater (with permission of the repeater’s sponsor). Be sure to observe third-party restrictions when making DX QSOs. Reporting (tell us your story - and send photos)! Kids Day Soapbox page. Tell the world about your operations, the fun you had, and who you talked to! All participants are eligible to receive a colorful certificate. You can download this certificate and complete it with the participant's name and date of the contact. Click on a story below to expand. Fun was the apparent result of a successful recipe--a recipe that included lots of preplanning, food, and Ham Radio. At the Indianapolis the Red Cross Chapter house, the Red Cross radio disaster group sponsored its very first Kids Day event. Amateur Radio operators and club members of the group began setup and testing early the week before January the 6th in order to prepare for the Kids Day on the air event. Led by Steve Wendt, KB9RDS, hams not only took time to demonstrate Amateur Radio but let the visiting kids spend time on the air talking and working other kids across the USA. The club setup code practice areas for kids and parents to expose them to the Morse Code that Hams use on the air during CW communications. A log sheet was available for each kid, and Steve had an area for helping the kids fill out their individual sheets in preparation for the contacts they would soon be making. Steve Wendt, KB9RDS: "OK! This is where we start; these our your radio logs..."
On to the radio room, where club members were ready with five stations in all; one each on 10, 15, and 20 meters, and two on 2 meters. Kids could wonder from station to station and make contacts as the day progressed. "So this is Ham Radio!" "Can I do this too?" And finally, one 15 year-old kid made a contact with a NASA station and jumped up shouting for all to hear... "I just contacted NASA!!!!!!!" Twenty-four kids made 58 contacts from five stations during the event. It was concluded that kids do live in Indiana and have fun with Ham radio. The Red Cross Disaster Radio Group plans to do more Kids Day events, where the big kids have fun too. Special thanks to Bill, K9DBY, John, W9GRE, Rick, KB9NZY, Don, K9MCM, Mike, KB9NZF, Suzy, KB9WRV, and Norm, KB9UEH. Lloyd had streaming video running of the Kids Day operation and Matt, Alex, and Nathan had a pretty big fan club before the day was over." Check out the station website at www.KH6LC.com for more information and pictures. Fill out the following survey to share your Kids Day experience. Did you operate from your home? How many contacts did you make? 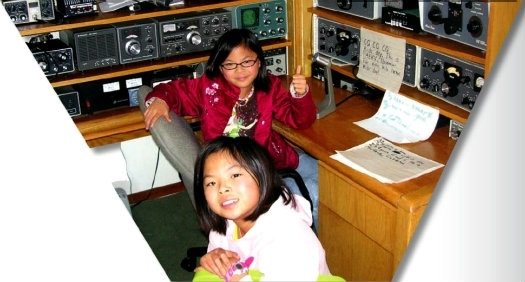 Find resources and connect with other young radio amateurs. The future of the Amateur Radio Service is here today! Resources for adults and youth leaders.